The original Award winning 1 bedroom 60sqm or 66sqm Baahouse was designed and built in 2014 for a couple that wanted to enjoy their lifestyle on an Acreage block. This was built as a 2nd dwelling. With a site that was on a slope the design was built in steel stumps so the natural ground level was not disturbed. By having the house raised it gave us natural ventilation, extra storage space, access to plumbing and services, and removing any risk from termites. The design is broken up into 2 wings with the lounge/living/ Kitchen areas on one side while the bedroom areas are on the other wing. The hall between the 2 spaces acts a study and access to the bathroom to the rear. Large decks come out from both sides and these can be custom designed to suit your requirements. The design features consist of open layout plans with no wasted space, high raking ceilings for airflow and light. Expressed Hardwood timber studs and feature outriggers and rafters. The lincoln is a spacious / stunning design that can be used as a grannyflat, 2nd dwelling, retreat, airbnb or as a parents retreat. We can also CUSTOM design the range for you to suit your BUDGET, requirements and lifestyle needs. The 60sqm 1 bedroom Lincoln design complies with many local council areas that fall under the BA or CDC code. This is a great option as a 2nd dwelling on your property. 60sqm 2 Bedroom Lincoln Design. The 60sqm 2 bedroom Lincoln Mini design complies with many local council areas that fall under the BA or CDC code. This is a great option as a 2nd dwelling on your property. The 80sqm 2 bedroom Lincoln design complies with many local council areas that fall under the BA or CDC code. This is a great option as a 2nd dwelling on your property. 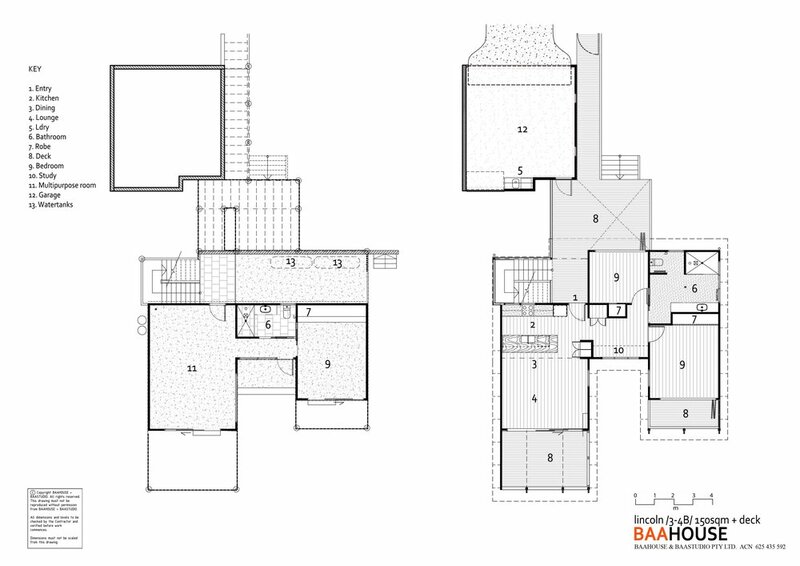 Lincoln 2B_S design is a single level 2 bedroom self contained house or 2nd dwelling for your backyard. With its open living and high level ceiling which give more airflow and light into the spaces the Lincoln design is a striking design with all of its finishes. The house is specifically designed for wheel chair access. The house includes large spaces to move around. 920-1020mm wide doors. Large Bathroom and storage for wheel chair. Ramps can be designed to access the house with no steps needed. The main features of the house is large raked ceilings for airflow and to create more light. No wasted corridors with open plan living. Hardwood timber floors, Modern designed Kitchen and Bathrooms and materials that will create an aesthetically pleasing house. 110sqm 3 Bedroom, large deck areas, Double Carport, Powder room and Ensuite. This is a fantastic design for the family. 130sqm 3/4 Bedroom storey option with the option of a studio, airbnb on the lower level. This is a beautiful fantastic house for the family with multipurpose rooms and large deck areas to enjoy the outdoor spaces.